Ray Rogers first sponsored a USSSA softball team in 1980 and continued until his death eight years later. He loved to see people having fun and succeeding at the same time. His most exciting moment was in 1985 when his team qualified to play in their first USSSA Class C Divisional tournament. Rogers was always grateful to the people who worked behind the scenes to make everything run smoothly – scorekeepers, umpires, ground crews and tournament directors. All, in Rogers’s eyes, had to work together for a tournament to run properly, and he let people know that he appreciated their efforts. Winning was not Rogers’s main concern; playing hard within the rules and showing respect for your opponents, the umpires and tournament directors was most important. If you could not give this respect, you could not play on his team. 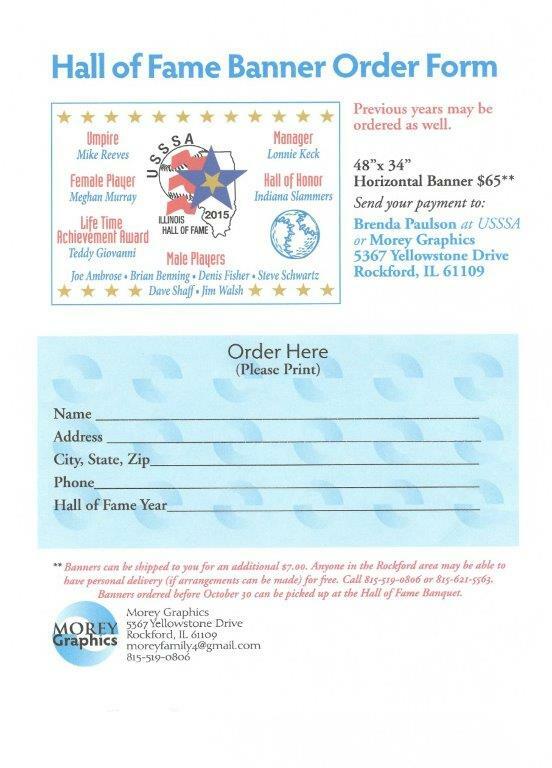 Sponsor and scorekeeper of the southern Illinois powerhouse team, Braun’s Tavern, for thirteen years, Anna Braun’s team won the Illinois 1976 USSSA Men’s Class B State Title and took second place and third place at Illinois USSSA State Tournaments. From 1986 to 1988, Braun managed the Brewmasters, becoming the first women manager of a men’s softball team in southern Illinois. From 1989 to 1992, Braun managed Marie’s, another young team. In all the years she managed the men’s team, she never missed a single game her team played and always coached third base. In 1993, Braun went to work for Andre Martel, the local USSSA Area Director. She keeps score at his tournaments and keeps track of all the rosters, providing crucial support services. A former fast pitch player, Braun believes that the game of slow pitch softball has surpassed the game of fast pitch softball because any team can beat any other team on any given night.